Is a long-time, well-established company really worth their salt if they don’t have a number of positive reviews to back them up? In our professional opinion, the answer is “no.” In today’s digital-driven world, it’s commonplace for prospective customers to check out a business via their reviews. That way, they’ll have a better idea of other people’s experiences and if they’ve been treated right by a certain company. Well, we’ve reached this point in our blog here at Bradley’s Insurance, but we haven’t taken the time to highlight what Ottawa residents like yourself have been saying about our friendly insurance services. From our home in Stittsville to the greater area of Canada’s capital city, our Ottawa home insurance experts are proud to have built relationships with this community through our insurance services. Working with only your interests in mind, our best interest is in connecting you with the right insurance policy that fits your needs and overall life situation. At the end of the day, that’s what brings our team of personal insurance professionals joy! Let’s check out some of our beaming insurance testimonials below. If you’d like to become our next success story, Bradley’s Insurance is eager to work with you! Get an instant quote or feel free to contact us with any questions you have. Professionalism and respect for our customers is our first priority and number one goal here at Bradley’s Insurance — we’re so glad that you took note of this in your experience, Bob! Switching insurance providers or transitioning to a new home and auto policy can be a pain, and we take pride in making this switch as smooth and painless as possible for the greater Ottawa community. Attempting to insure something can be an intimidating prospect when you’re not sure how to go about it. Though we specialize in bundling Ottawa house insurance and auto insurance, our roots are in commercial insurance. Bringing a wide variety of insurance solutions to the table, we can connect you with a range of customized policies no matter what your needs are — especially if you’re new to the insurance world! Thank you for taking note of our prompt and courteous service, Curtis. Though Ottawa car insurance is only the tip of the personal insurance iceberg for us, it’s true that we are seasoned experts in this area of insurance. We’re so happy that our experience and expertise have been demonstrated through your experience with us, Brittany. Our goal is to create long-term relationships with the people and the families that we work with — that should be a core value and one of the main goals of any local business that’s invested in the welfare of a community. For us, that community is here in the greater Ottawa and Ontario area. Customer service is something that we take to heart here at Bradley’s Insurance. However, at the end of the day, the reality with insurance is that customers are simply looking for the best deals on their policies and any possible way to save money in the process. Working with one of our seasoned insurance brokers in Ottawa and switching policies based on their credible advice is your key to saving money on insurance as Joseph has reflected in his experience working with us. Why pay more for what’s effectively the same insurance coverage? Thanks again for taking note of your insurance savings with us, Joseph! 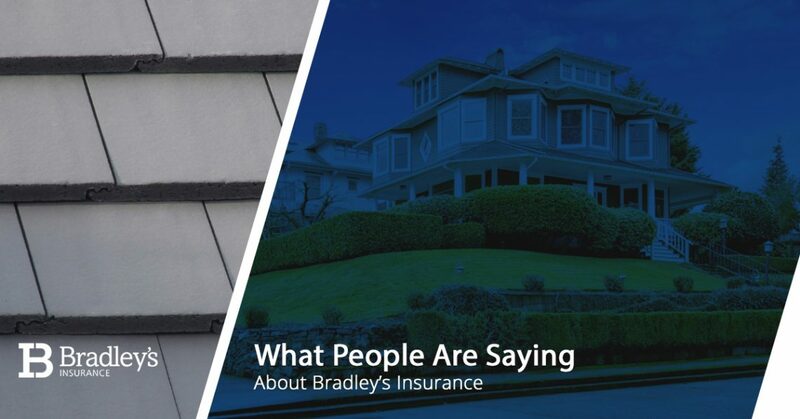 If you have a business to insure, a niche product to protect, or you’re simply looking to bundle your home and auto insurance for the first time, you can count on Bradley’s Insurance to do it all. First and foremost, our goal is to serve you and your family! Feel free to learn more about how we approach personal insurance and commercial insurance the Bradley’s way, and don’t hesitate to reach out and contact our friendly insurance brokers for Ottawa house insurance and more. Learn More About Bradley's Insurance Here!